This unique island is called the “Black Pearl” of the Mediterranean; its volcanic origin, its breathtaking scenery, its archaeological findings, it’s thermal waters and muds at “Venus’s mirror lake”. But not only, the island is a place to revive your soul, that offers unique profound and exhilarating emotions to whom spends a holiday or simply visits it. 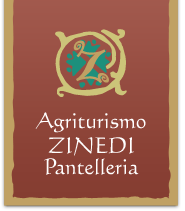 Pantelleria is an island to be relished, unique are its local produce such as capers and Passito. Discover them here and buy on-line. A taste of Pantesco tradition. The restaurant is open to both guests and the public. It offers a delicious gastronomic tour of the island’s traditional dishes.